Sleep programs help you fall asleep with the help of a red light and the music program you choose. 1. Open the Health Mate app. 2. Go to your Timeline. 3. 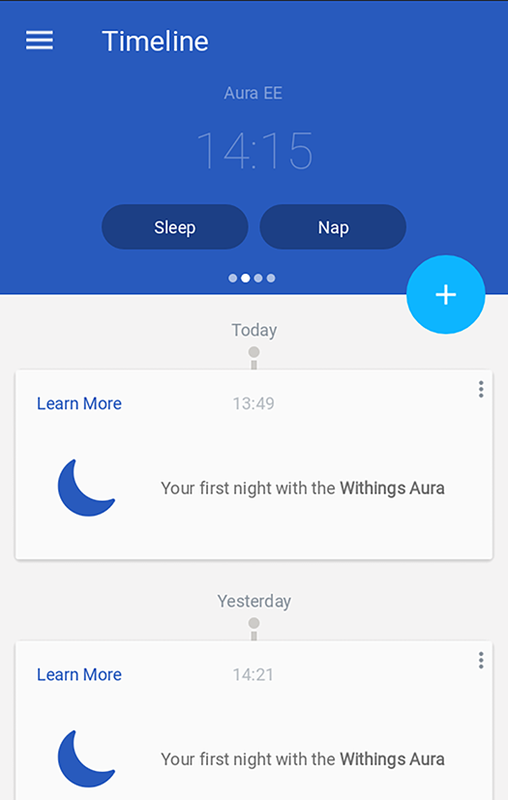 Tap Sleep in the Aura widget. If this screen is not displayed, swipe left or right in the top widget (colored part at the top of the screen) until you find it. 4. Tap Playing to select your program. - Tap Use a Spotify Playlist. - Start playing the playlist you want. - Tap the song currently playing. 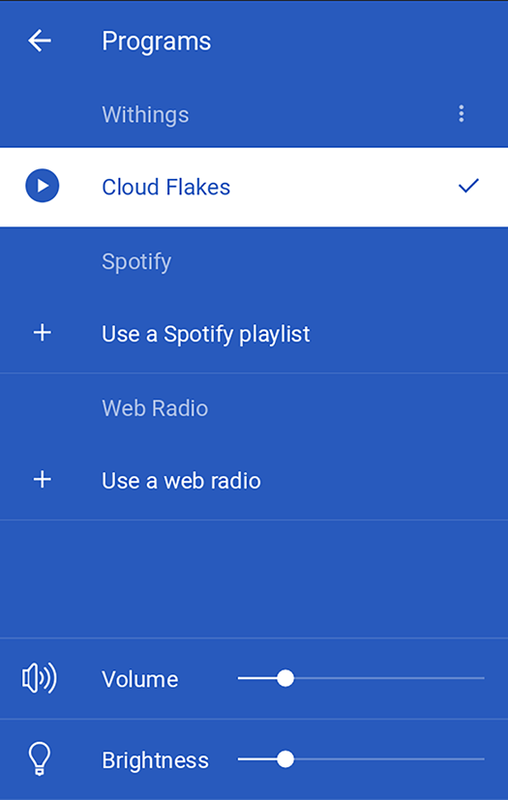 - Tap Spotify Connect Available and select your Connected Alarm Clock. - Go back to the Health Mate app. - Tap Use a web radio. 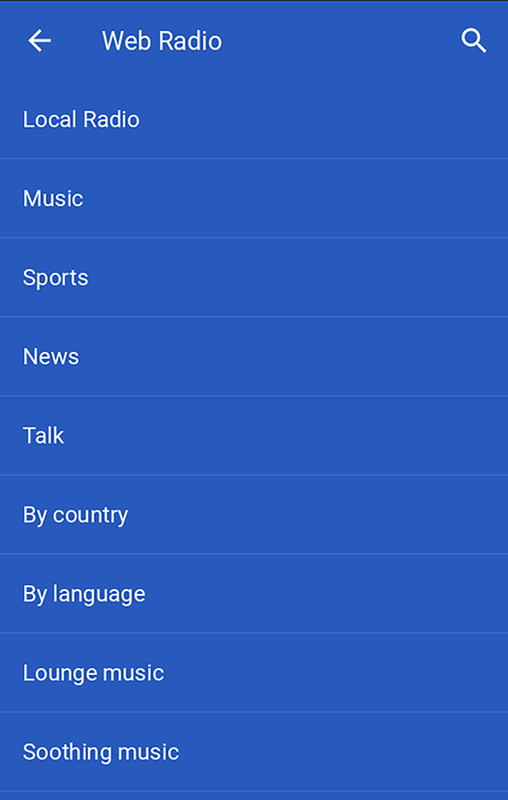 - Look for the radio station you want. - Tap the radio station you want. - Tap the back button. - Tap the program you want. 5. Adjust the volume with the Volume slider. 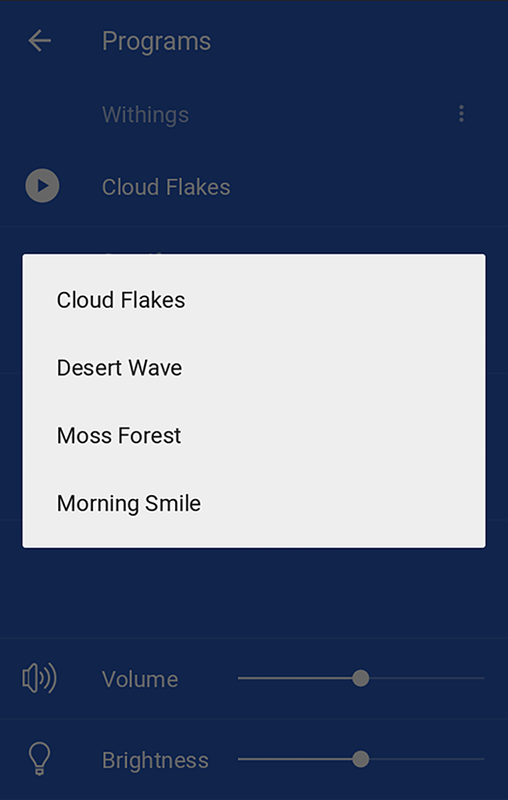 When the program is playing, you can adjust the volume of the program by swiping your hand up or down on the right side of the Connected Alarm Clock. 6. Adjust the brightness of the light with the Brightness slider. 7. Tap the back button. Once you have set up your preferred sleep program in the Health Mate ™ app, you can easily run it directly from the Connected Alarm Clock. To do so, touch and hold the top of your Connected Alarm Clock for two to three seconds. The latest sleep program you used starts running. 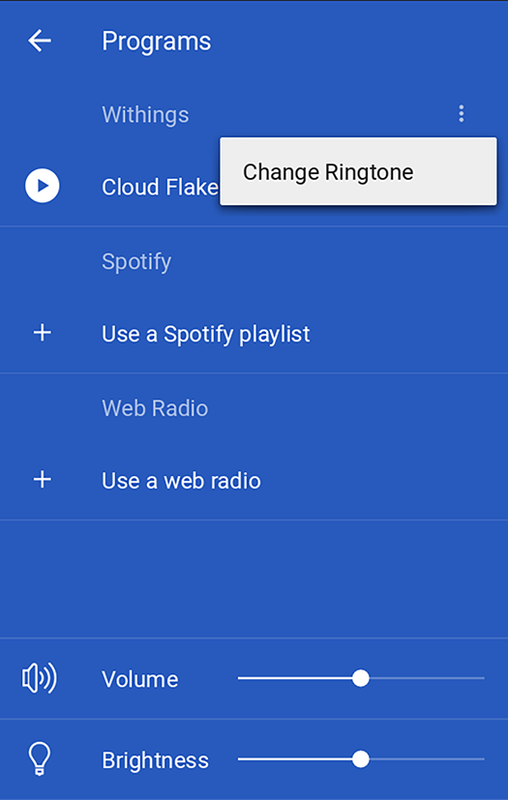 You can adjust the volume of the program by swiping your hand up or down on the right side of the Connected Alarm Clock. Withings Aura - What's new with the product?